I’ve never lived in a place where it gets extremely cold, lakes freeze over, and you are constantly hammered with snow. I’d imagine I would get a bit restless, which seems to be what happened to a bunch of folks in Latvia. 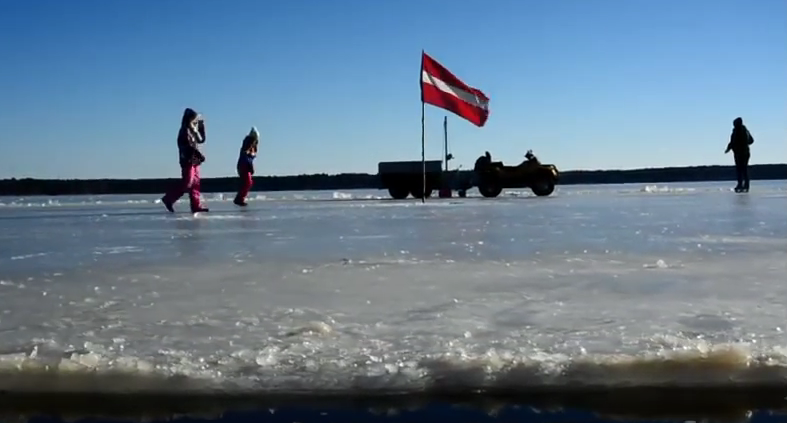 They literally took chainsaws to a frozen lake and created a one-of-a-kind spinning ice carousel. The process was probably the most intriguing part, however, because it looks like once the ice carousel is completed, no one really knows what to do? Oh well… On to the next crazy winter project! Giant Flying Buttocks, The Airlander 10, Will Soon Take To The Skies Again! Are Brain Implants the Beginning of Super Humans? A 90-Year-Old Man Spent The Last 50 Years Building This Cathedral From Trash!